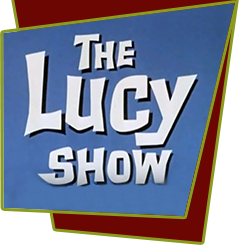 When Chris comes home with Bob Mooney (Mr. Mooney's teenaged son), Lucy learns of all the expensive items Mr. Mooney has just purchased. Viv then comes home with the news that the bank's books don't balance. Lucy is convinced Mr. Mooney has been embezzling. Her proof is a note she finds on his desk reading "ten thousand dollars buried in backyard". She and Viv spend the night digging up Mr. Mooney's yard looking for the loot. Special Notes: Director Jack Donohue appears in a small uncredited role at the bank.